Steven (Chicagoland, United States) on 12 April 2013 in Cityscape & Urban and Portfolio. 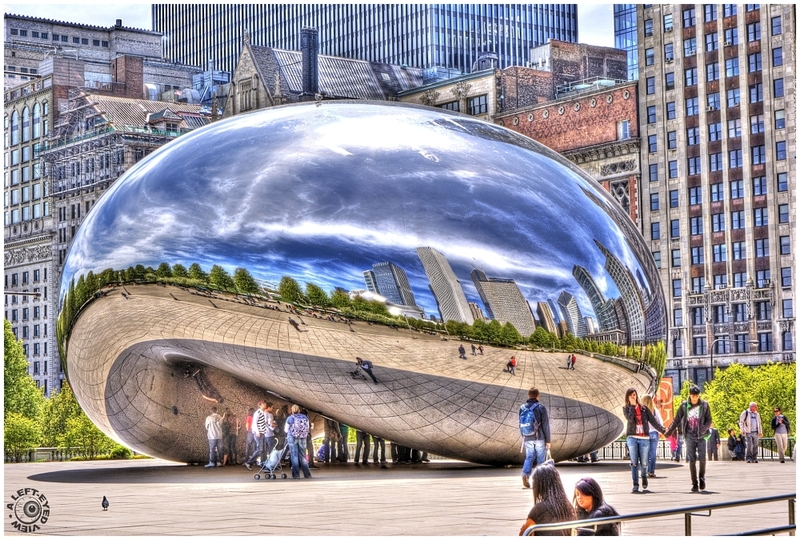 A portion of Chicago's skyline reflected on the surface of Cloud Gate, also known as "The Bean", spotted in Millennium Park in Chicago, Illinois. Photo captured April 28, 2010. The HDR gives it a beautiful surreal look. Great reflection of the sky. Awesome colouring in this shot, I don't mind this being a little OTT. Like a gate or portal through space and time! You selected a great viewing angle for this shot. The HDR is a touch heavy but it works well to bring out so much detail everywhere. I like it. It seems as a small universe by itself inside a ball. Fantastic rendering in HDR with such an impacting visual effect. You are going to win a prize for this one. Excellent, Steven. ANother amazing image of this reflection. so beautiful frame, colors, lights, reflections & treatment! This is a fascinating angle of 'the bean' ... I didn't know you could walk beneath it. Wow! This is incredible! The reflection is stunning. A beautiful HDR! Nice HDR of the Bean. Beautiful. Every shot of this remarkable work presents a unique image. Your processing really brings out even tones without any processing artifacts. nice work on the HDR effect - i think it suits this scene very well! it brings the detail and textures to life! Grandiose ! Vraiment superbe ! I've never seen the bean look as pretty as it does here, I've also never seen it this spaced out, it's usually packed with people ! Awesome editing with this. Stunning series and process Steven !